Cruiser bikes are special genre of motorcycles that allows you to travel the distance much more comfortable than another genre, say, a sports bike. Provided with an usually torquey engine right from the factory, it made the ride feels much better, with minimal fuss to worry about; less vibration, straight-up acceleration right from the moment the throttle twisted, supposedly better mileage, and other excellences. 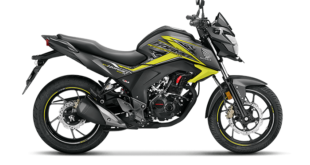 But despite all of this, the sales of cruiser bikes in India still holds very small amount, compared to the other throne holder such as the Commuter category, or Sport bike, whom both hold first and second on the India’s motorcycle sales chart. Are all these things made India’s cruiser motorcycles array of choices narrower? Well, not really. From all the manufacturers that offer their products in India, there are pretty wide range of choices expected to come on this very year, started from the small bucks and affordable ones, to the big bucks with drool worthy selection of features. Here are some of India’s 2018 Line-Up of Cruiser Bikes. 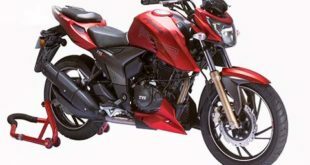 With the 178.2cc engine whom exactly similar as Bajaj Pulsar 180, Bajaj Avenger 180 destined to be the Bajaj entry level bike, replacing its predecessor Pulsar 150 who came earlier. The 17 BHP power and 14 Nm torque are a pretty solid numbers, extracted from the air cooled engine that gets an extra help from the oil cooler as default straight from factory floor. Priced at Rs. 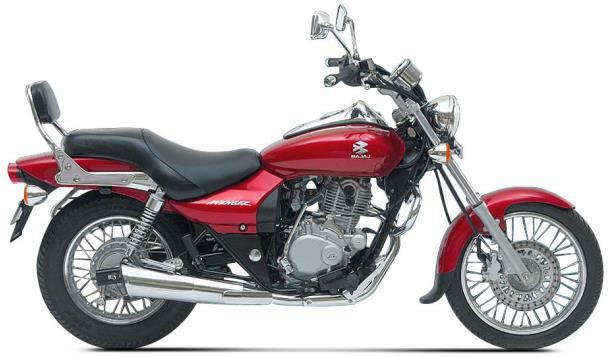 80,453, the Avenger 180, who happened to be the cheapest cruiser bike on the market by far, was also meant to be head-to-head rival with Suzuki Intruder 150, a new contender from Suzuki tasked to take the lead on the Cruiser Motorcycle niche. Equipped with tall windscreen, it guaranteed the rider more protection and comfort from wind on longer trips. The high-raise, chopper-y style handlebar also supposed to give more comfort to the rider while doing some distances. The thick seat absolutely would make comfortable rides on long seat time, and there is a back rest for the pillion. A nice touch to make this an all-rounded affordable cruiser bikes. 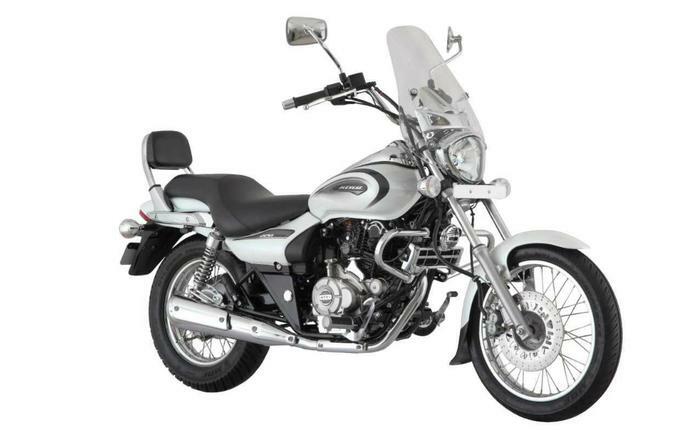 The look-alikeness of Bajaj Avenger 220 with the Avenger 180 is pretty similar. It’s like we are seeing much cooler, bigger, more handsome brother of our friend. Avenger 220 is more of a facelift from the earlier version. Still came in two variants; Avenger 220 Street and Avenger 220 Cruise, the 2018 version now equipped with the LED Daytime Running Light. The now all-digital instrument cluster sure would add some modern touch than the analog one. And the new color scheme with a simple-yet-elegant stripes, adds more subtle touch to the 2018 version. 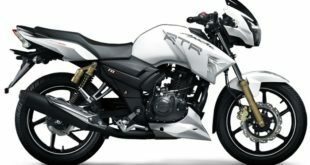 With a 19 BHP power and 17.5 Nm of torque, now we got another bike to chose to from Bajaj, to do a trip with style. With 19.8 BHP and 28 Nm torque from the 346cc engine, and 27.2 BHP with 41 Nm of torque produced by the 500cc, that’s enough torque to slingshot the rider to where ever they want to go to. 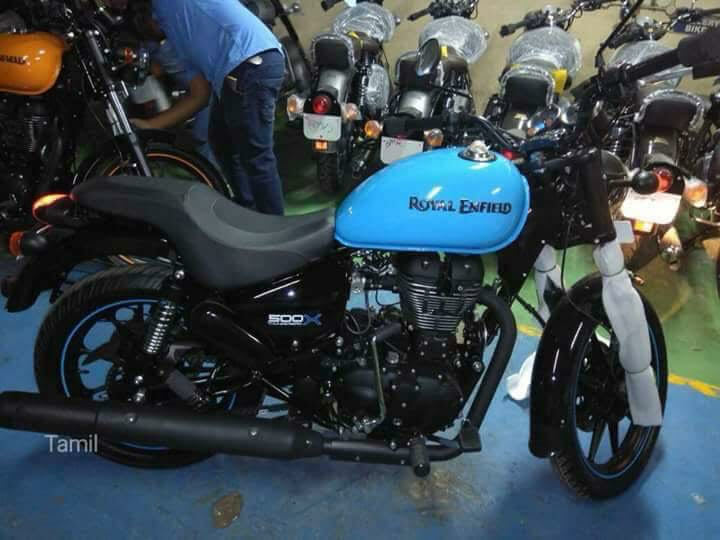 There has been some sightings from some Royal Enfield dealerships in India about this face lifted bike, which means launching will come real soon. 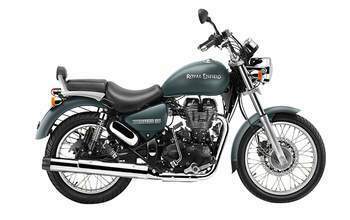 What Royal Enfield did was just a refreshment to the already cool-looking bike. 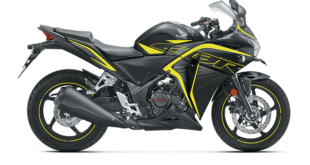 Now the bike came with a new rear-end model, blacked out engine theme that brings more gallant aura to the bike, longer tailpipe, and a cast wheels as a cherry on top, to bring out the a little bit modernism to the bike. As the more advanced version in fuel mixture department, Suzuki Intruder 150Fi came to offer more choice to the potential buyer. 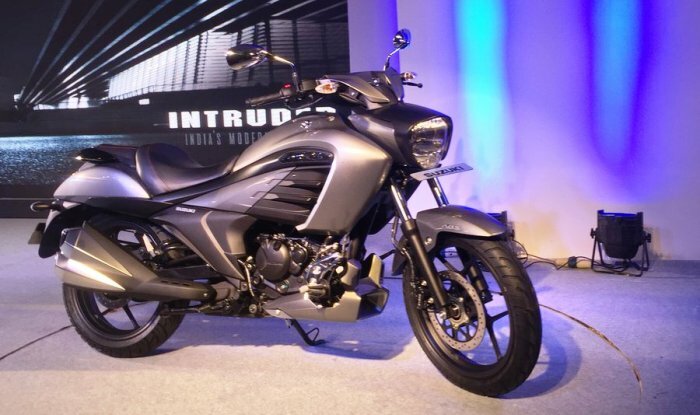 This arrival of the Fuel Injection version of the Intruder 150, makes the Suzuki line-up more complete, accompany the Suzuki Gixxer SF who was equipped with the Fi system earlier. 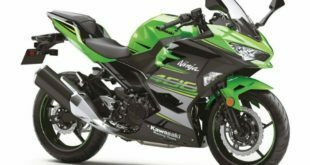 The Fuel Injection version still delivers very same power figures as the carbureted version, but implementation of Fuel Injection system expected to brings the bike smoother throttle, somewhat more responsive engine, and also a little better on fuel efficiency. Welcome to the big boys section of the cruiser category. Here we have another contender on the top class. 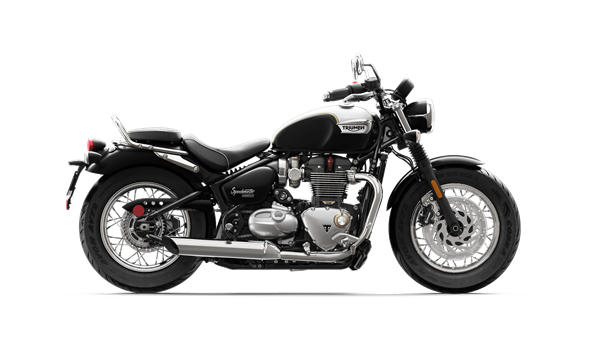 Triumph Speedmaster belongs to Bonneville family branch from the British manufacturer. Triumph Speedmaster is the answer from Triumph, when all the moto-journalists from the world want to call Triumph Bonneville Bobber a cruiser, yet Triumph insisted it is not. The answer lies sometime later. Triumph magically unveils the specific breed of species on the cruiser genus, the Speedmaster. A more practical, easier-to-ride-together bike than Triumph Bobber (of course), it envisioned by Triumph as the ultimate cruiser motorcycle. It brings the classic post World-War II styling that’s been aged well, and tweaked to bring out all the goodness from the Bobber, and beyond. 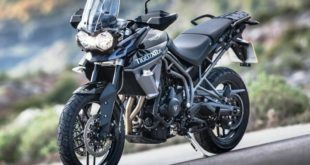 Powered by the same Triumph T120 engine as the Bobber, a liquid-cooled, twin-cylinder with 1.200cc capacity, it emits a 75 BHP and 106 Nm output figures. More than enough for everyone whom needs to cruise the straights and twisties pretty fast, in style. Everyone and we mean everyone, on this planet, who got an interest with the motorcycling world, should at least heard name Harley Davidson once in their lifetime. Except if you are a caveman or some unfound ancient lost tribe. For the 2018 line-up, Harley Davidson has redone their front of Softail. To quote from their own website, ‘Devour endless highways. Lean hard through twisting roads. Hot the night spots. See all there is to see. Hell, turn your daily commute into an adventure. The all-new Sport Glide will take all your wanderings to your new level.’ What a quote that ignites passionate, glorious feelings. What’s missing is only Morgan Freeman to narrate that. Sport Glide made to be the one, the king, of the cruiser class. And maybe they did that so darn right. 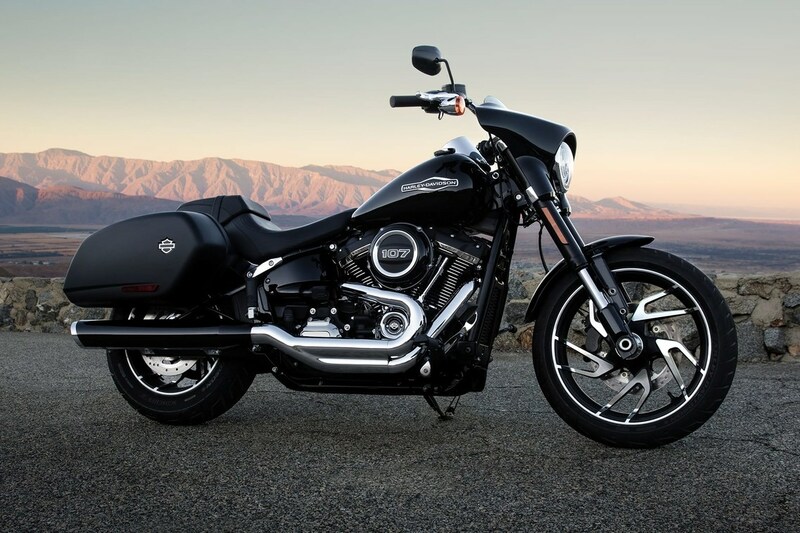 Combining the Heritage family tree touring elements, with much more sporty characteristics from Fat Bob such as the single-cartridge inverted fork, the Sport Glide is one heck of a Harley Davidson to cruise, and cruise hard! Fully redesigned Softail frame that’s assisted with new monoshock with external preload adjuster, gives the rider fully customizable settings and characteristics, especially when carrying passengers or extra stuff on the side bags. Or both. So that’s some of the cruiser motorcycles selections for 2018 on India. What type suits you the most? It depends on you and what specific benefits which you are looking for. Which motorcycle would you take on longer trip? Please do write to us and stay tuned to India Autoz. 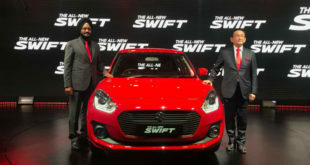 Previous 3 BIGGEST Winners from Tata Motors to beat Honda!